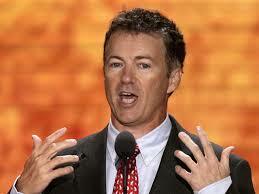 Rand Paul Calls for Tougher Sanctions Against Iraq. During the course of that hearing, I asked Under Secretary Sherman whether the Administration felt bound to comply with the existing sanctions laws, particularly the sanctions laid out in the Comprehensive Iran Sanctions, Accountability, and Divestment Act of 2010 (CISADA), and the Iran Threat Reduction and Syria Human Rights Act of 2012 (ITRA). Under Secretary Sherman answered in the affirmative. As you are aware, our existing sanctions on Iran are triggered by both statutory and executive authority. While I respect your authority regarding those sanctions lawfully initiated by Executive Order pursuant to legal authority, I would urge your Administration to use caution as you negotiate over sanctions that have been applied statutorily – that is, passed by Congress, and signed into law by the President of the United States. In addition to the many sanctions laws in statute, both CISADA and ITRA outline specific termination criteria that bind any President seeking to undo the sanctions therein. Specifically, CISADA, as modified by ITRA, only allows for termination of sanctions once Iran has verifiably dismantled its military-nuclear, biological, chemical, ballistic missile and ballistic missile launch technology programs – in addition to Iran no longer acting as a state sponsor of terrorism. Other statutes, like the Central Bank of Iran sanctions enacted as part of the Fiscal Year 2012 National Defense Authorization Act, have no termination criteria and can only be lifted by congressional repeal. While the statutes do contain national security waivers that allow for a temporary suspension of these sanctions, the presence of these exacting termination criteria make clear that the intent of Congress was not simply to allow the President to waive all the sanctions in perpetuity at his behest. Like you, I am hopeful a peaceful resolution can be reached. However, in the course of those negotiations, it is both my hope and expectation that the Congress will continue its role as an integral participant in our foreign policy toward Iran. I further expect that you will abide by the intent of the laws you signed, and not lift any sanctions for which termination criteria have not been met. I would remind you that it was your Administration that not only signed CISADA into law, but strengthened its force with the passage of ITRA. On a foreign policy issue of this magnitude, it is my strong belief that any further agreement – be it interim or final – that lifts statutory sanctions on Iran should require approval by the Congress before taking effect. Please let me know if it is your intent to seek this approval for any subsequent interim or final deal. Senator Rand Paul Pleads for American Christian Pastor Imprisoned in Iraq — Threatens Diplomatic Retaliation if Situation is Not Resolved Soon. Saeed Abidini is a naturalized American citizen who has been arrested and imprisoned in Iran for the past two years. His crime? He converted from Islam to Christianity while still an Iranian citizen, and has helped to establish Christian congregations for worship in Iran. That’s a pretty dangerous criminal! 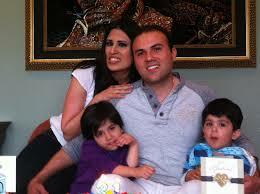 I am writing to you today to urge you to commute the sentence of Pastor Saeed Abedini and release him from prison. I have recently met with his wife, Naghmeh, and she is very concerned for her husband’s well-being. His health is deteriorating and he is apparently under constant threat of harm from both prison personnel and other inmates at Rajaei Shahr prison. I wish to remain cautiously optimistic regarding the recent diplomatic progress between our two nations. However, I must point out that if something were to happen to Pastor Abedini while he is incarcerated, any good will forged over the past few months would likely evaporate. Conversely, granting clemency to Pastor Abedini and allowing him to return to the United States would do much to create a positive atmosphere that would reflect well on future discussions. Cooperation and trust are built one gesture at a time and actions speak louder than words.